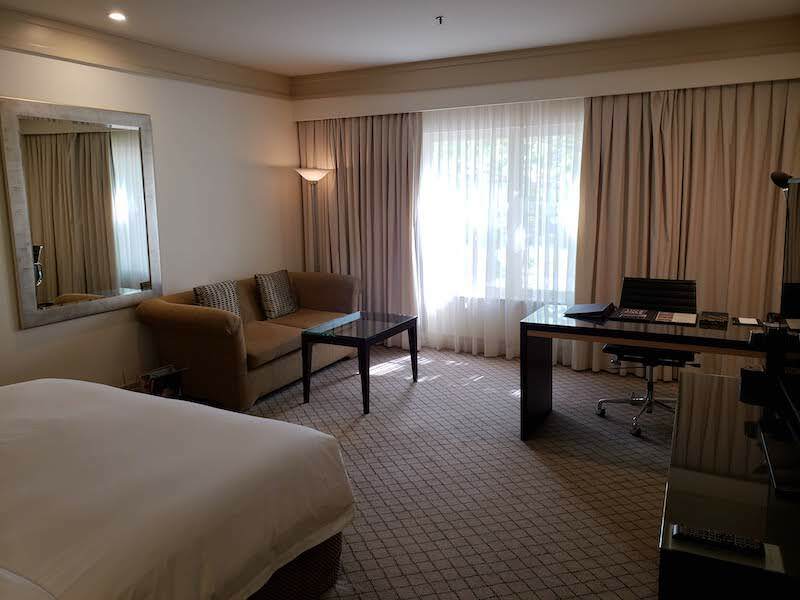 The Hyatt Hotel Canberra is a historical hotel located in the Australian capital, a short distance from the Parliament House. 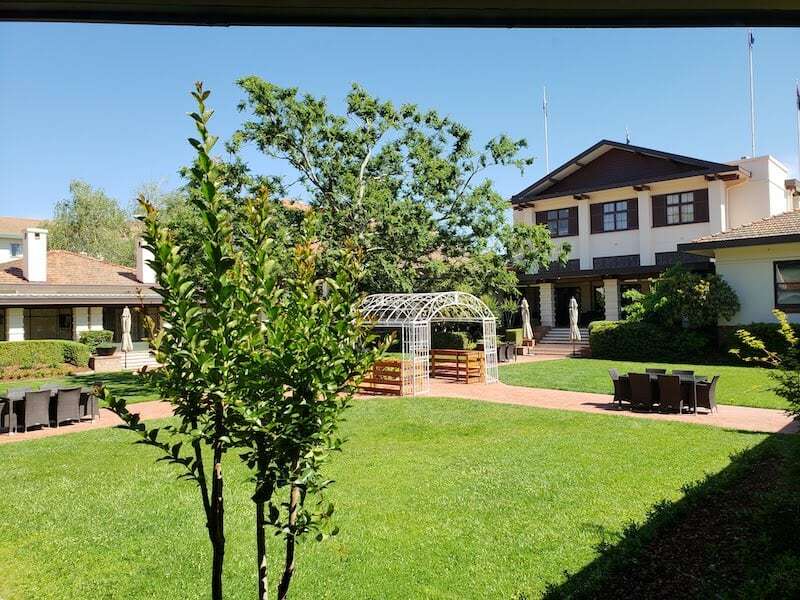 Originally built in the 1920s by the government, the Hotel Canberra closed in the 1970s and reopened with an update and addition by Hyatt in the 1980s. 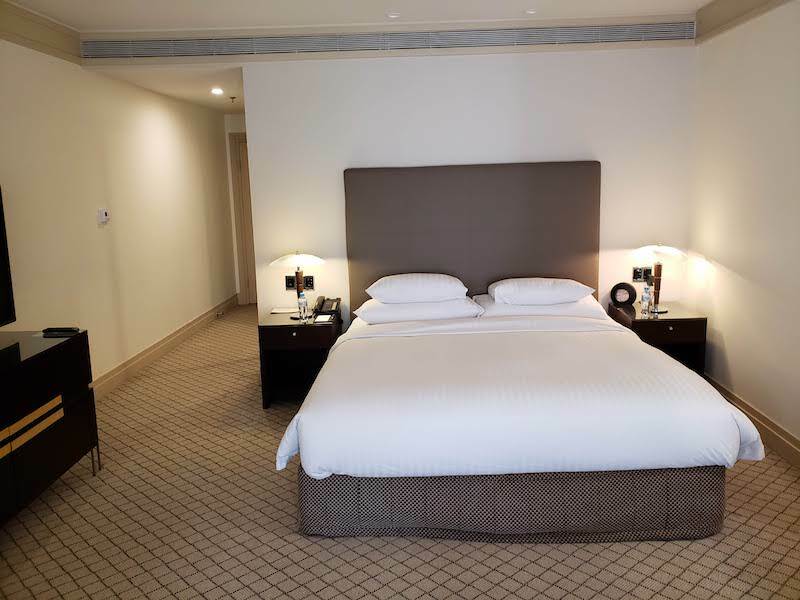 The 252 room hotel bills itself as the “Hyatt Hotel Canberra – A Park Hyatt Hotel“. 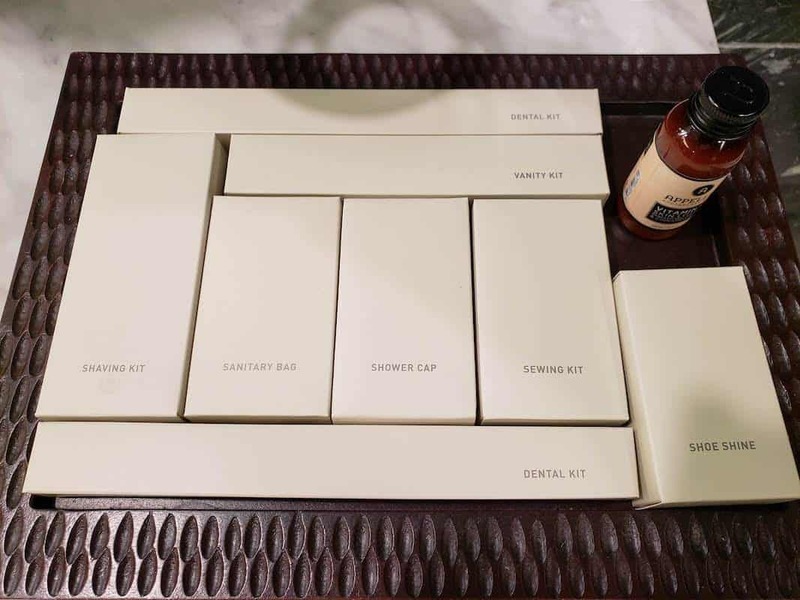 While this branding is likely do to the historical nature of the property name, it seems fitting as the hotel doesn’t quite fit into the first class expectations of a Park Hyatt. 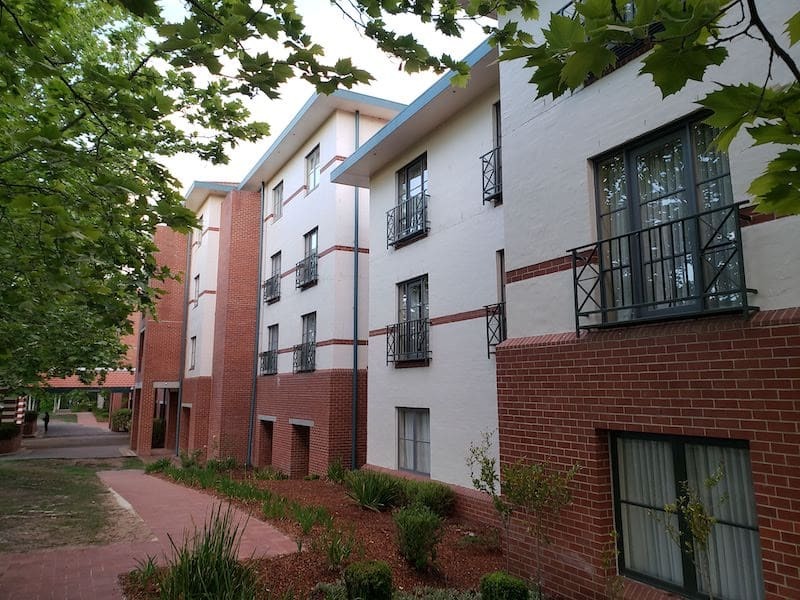 You can read more about the history of the Hyatt Hotel Canberra here. Canberra is mostly a government town. The Hyatt Hotel Canberra is located in the Parliament District; for the Americans think of this as located on the National Mall in DC. 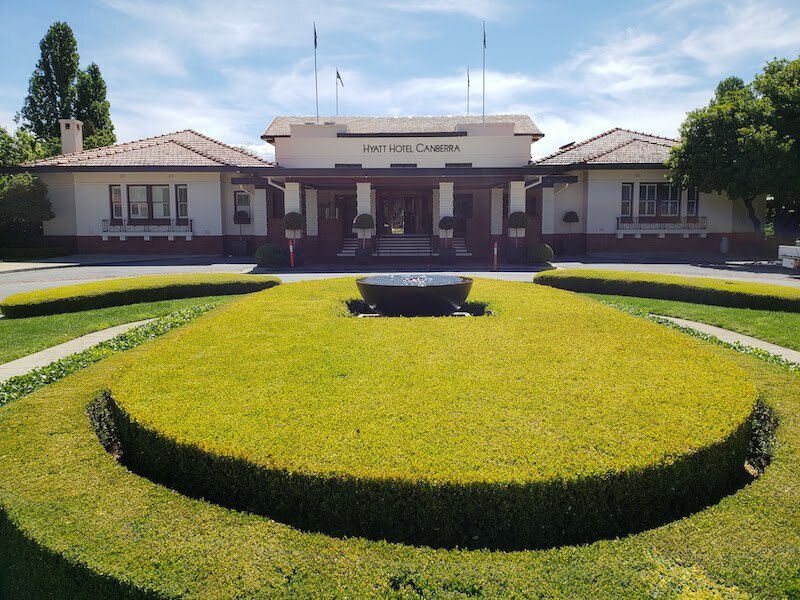 It is a short walk to the government buildings, including the High Court and Parliament House, as well as various museums. 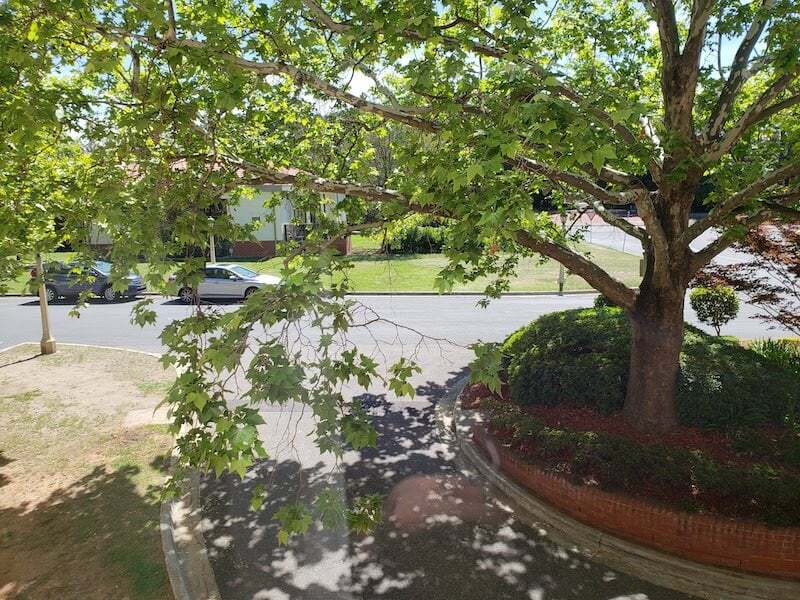 It is also across the street from Lake Burley Griffin. 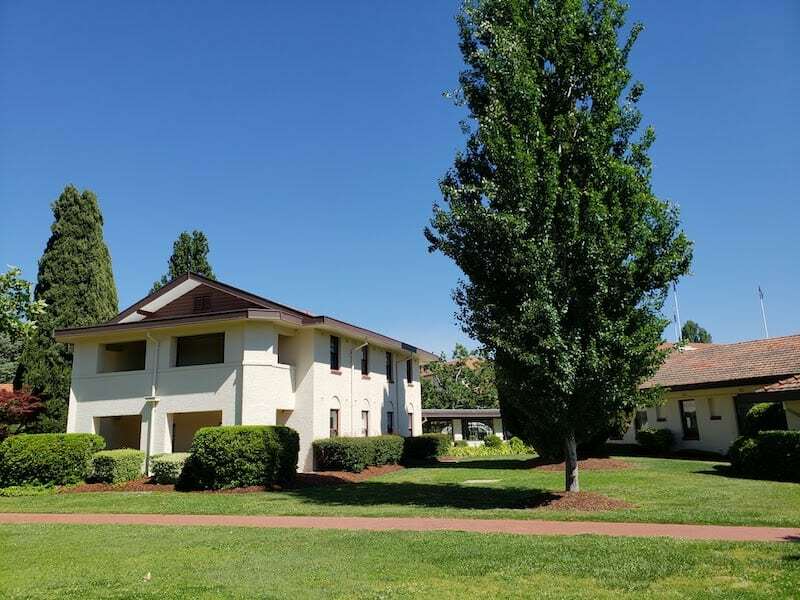 A short drive or long walk across the bridge and you are in the heart of the downtown shopping and dining areas. The location is fantastic. It is all of 10 minutes from the airport (which is a fantastic small and modern airport). If you enjoy biking, walking or jogging, there are trails around the lake that go by the hotel. 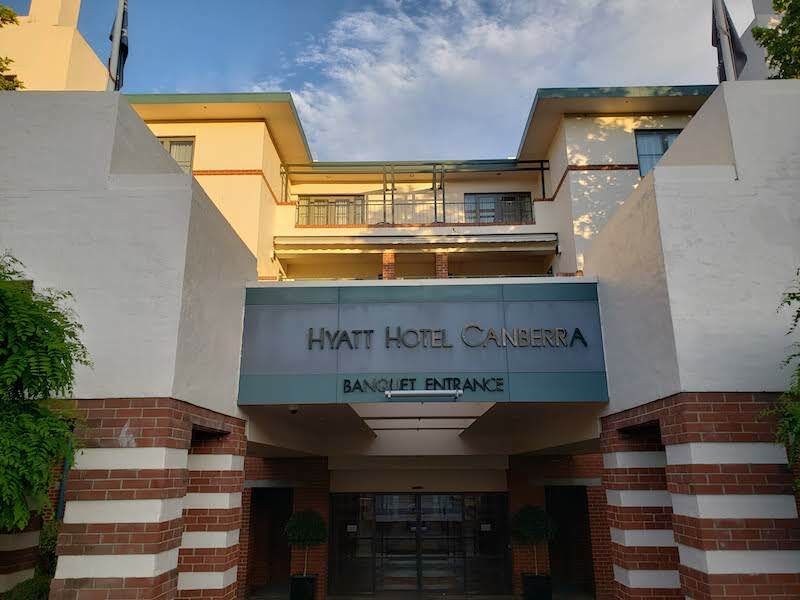 The Hyatt Hotel Canberra is a Category 4 property. I booked two nights in November, 2018 using 15,000 points plus my Chase Visa free night certificate. I also applied one of my Explorist Club Access certificates as the property has an Ambassador Lounge. I arrived to the hotel around 2:00pm and was able to check in to my room. I was assigned the most basic room; a 1 King Bed, in the newer portion of the hotel. Though it was clear the property was not full, I was not upgraded or even given one of the better heritage rooms. The original rooms (known as heritage rooms) are in the original portion of the hotel in one of a number of two story buildings connected by corridors. The 4 story section of the hotel built in the 1980s is at the back. None of the rooms would have especially nice views. I was assigned to room 234. The second floor is actually the main floor of the property. The room is average in size. As you enter, the bathroom is on the left, followed by a closet before opening up into the main area. In most aspects, it is a very average hotel room. The decor is somewhat outdated. 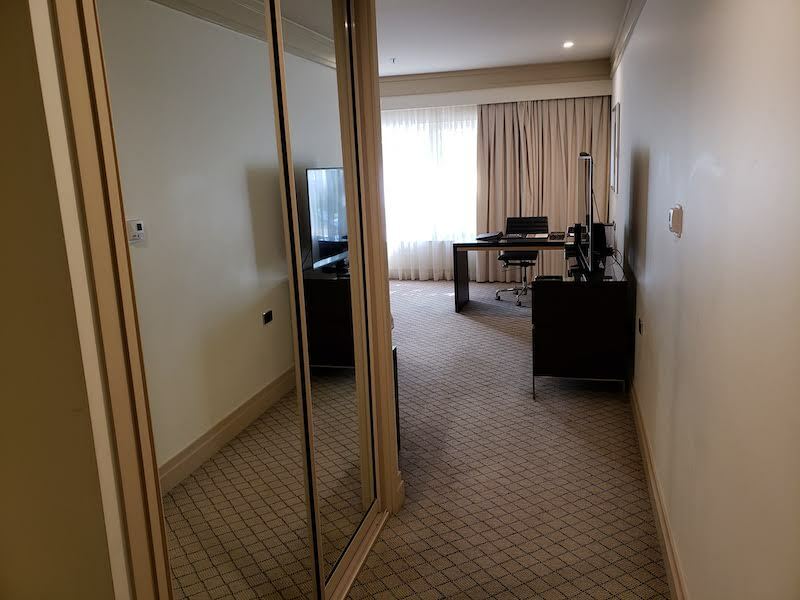 I have found that hotels in Australia tend not to update their rooms as regularly as hotels in other parts of the world. The room does not feel luxurious; I would put it on par with an older Grand Hyatt or Hyatt Regency. 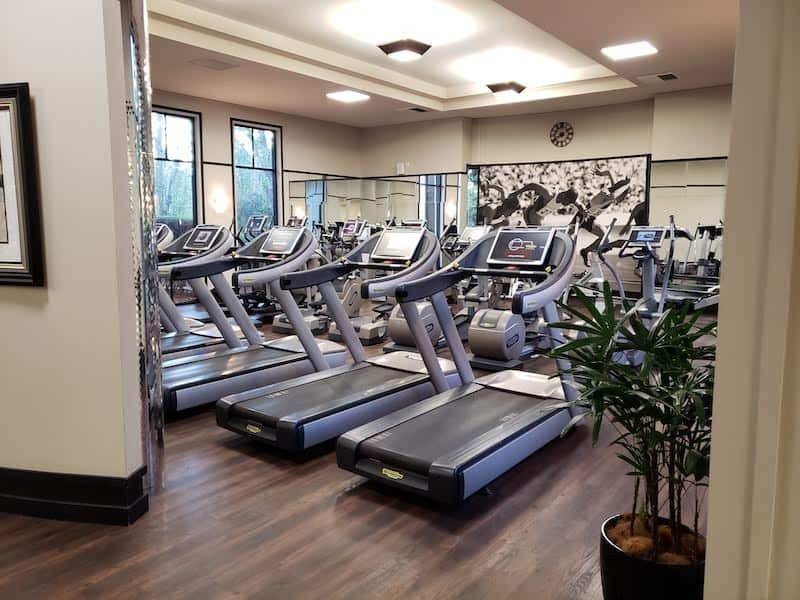 The view out of the room is of the parking lot, health club and back entrance. 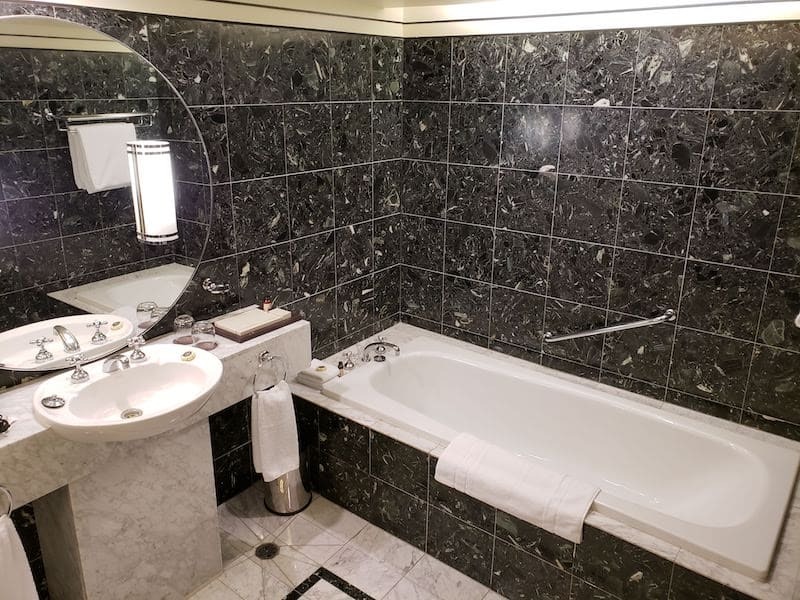 The bathroom is nice but in need of updating. It is a large space with separate tub and shower. 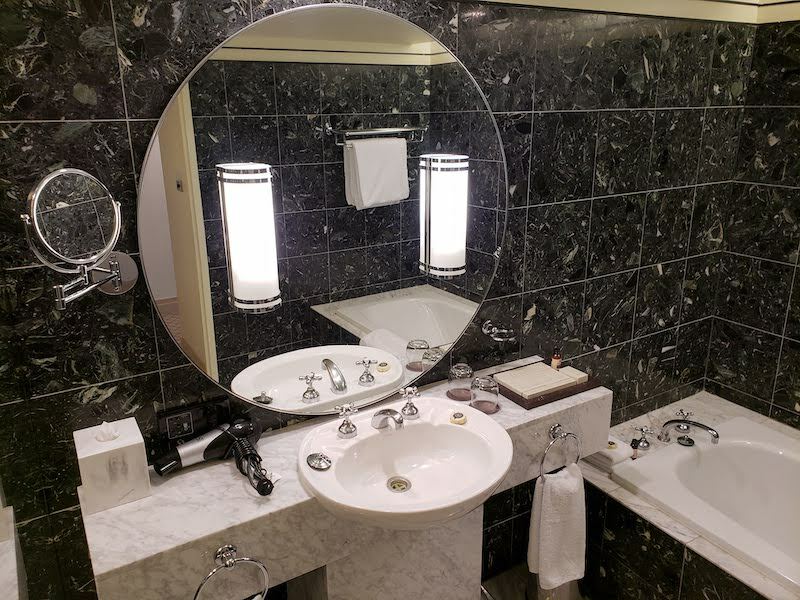 A single vanity offers adequate counter space had it not been taken up with amenities. 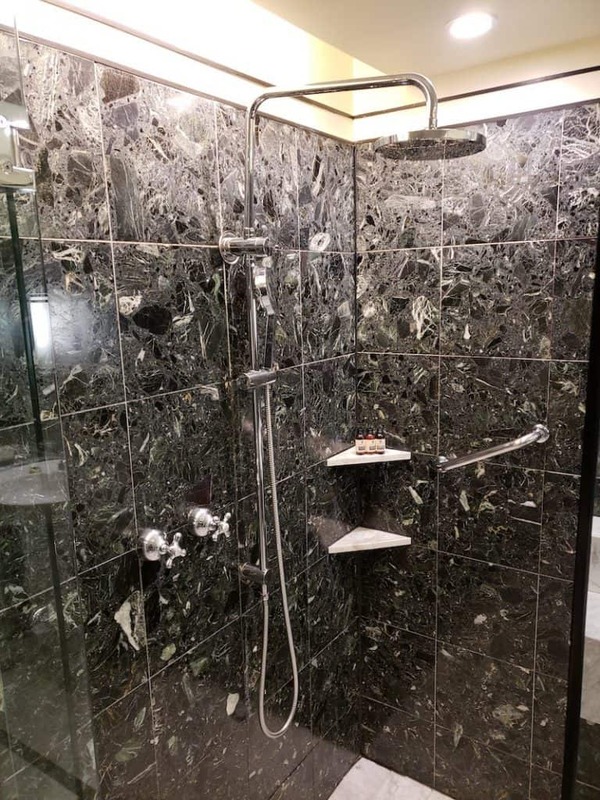 The shower offered good pressure and had the option of either rain shower head or hand held shower (but you can’t use both at the same time). 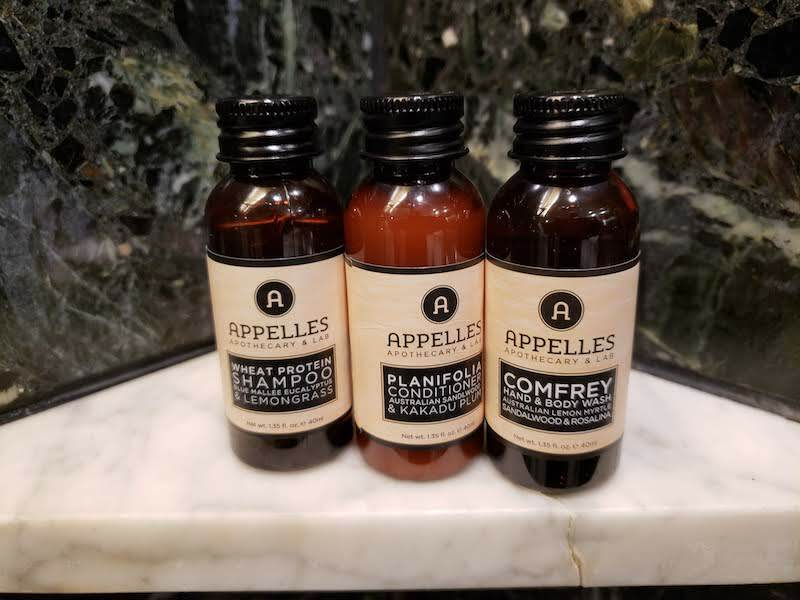 The bath products are a high quality Australian brand, Appelles. There are various additional products available for use. 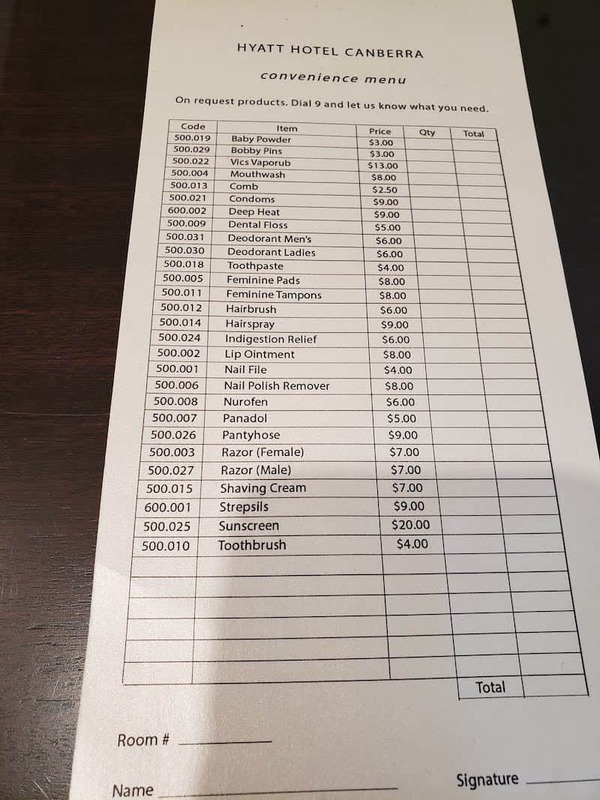 In the desk drawer there is a price list for various “Hyatt Has It” items, though my assumption is that the products in the room are complimentary, but others could be ordered from the front desk. The historical grounds are quite lovely. Courtyards are located between wings. The older section is architecturally attractive. 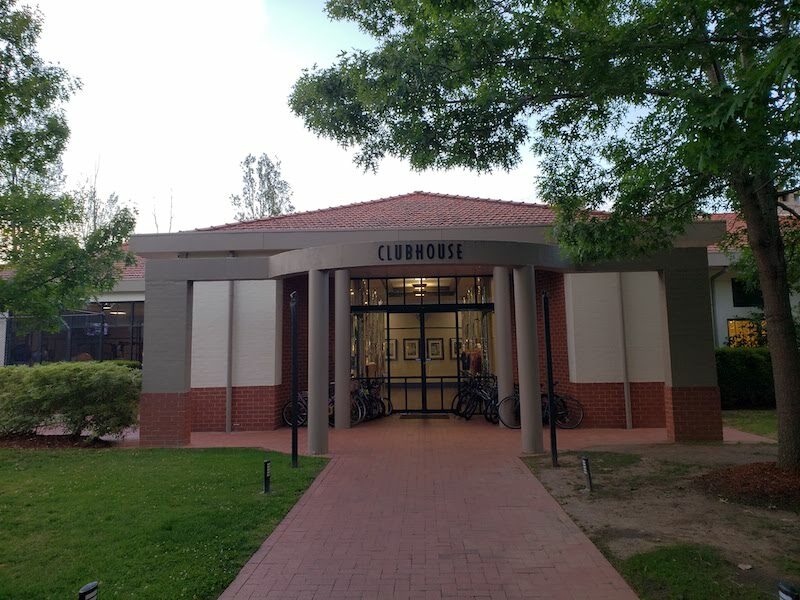 The Hyatt Hotel Canberra has a detached clubhouse for guests share with local club members. 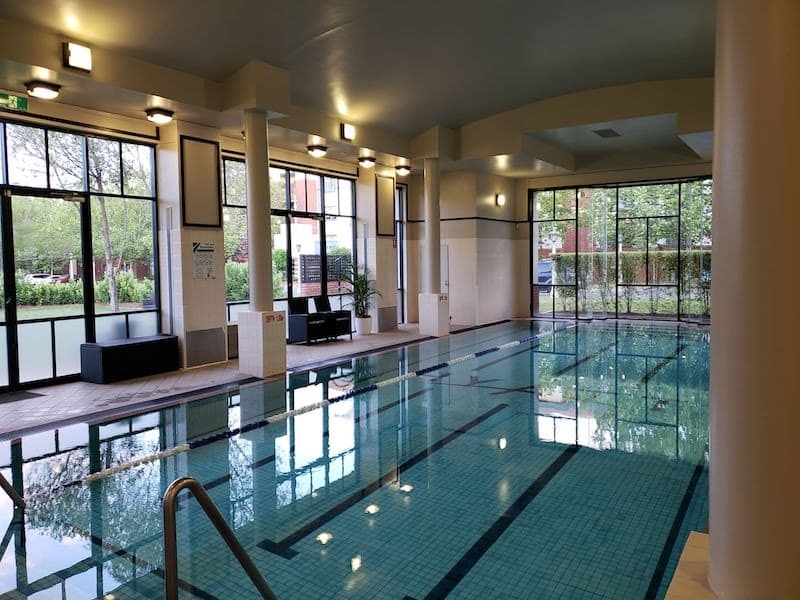 In the clubhouse is a pool, small hot tub, sauna and gym. I found the area to be dated and not well maintained. 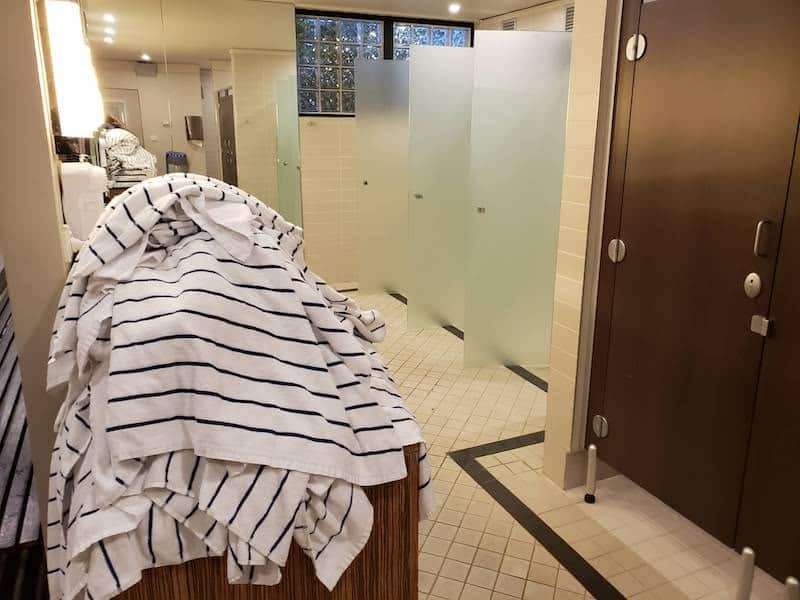 The locker room, for example, was left messy and unattended. Bikes are available to rent for $20/hour or $30/day. 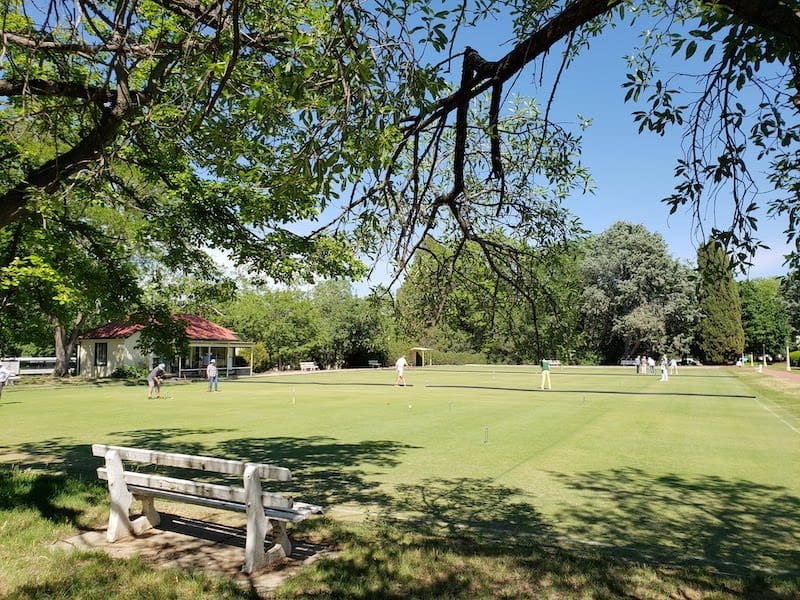 There is also a croquet club on the property; though not sure if it is available for guests to use. 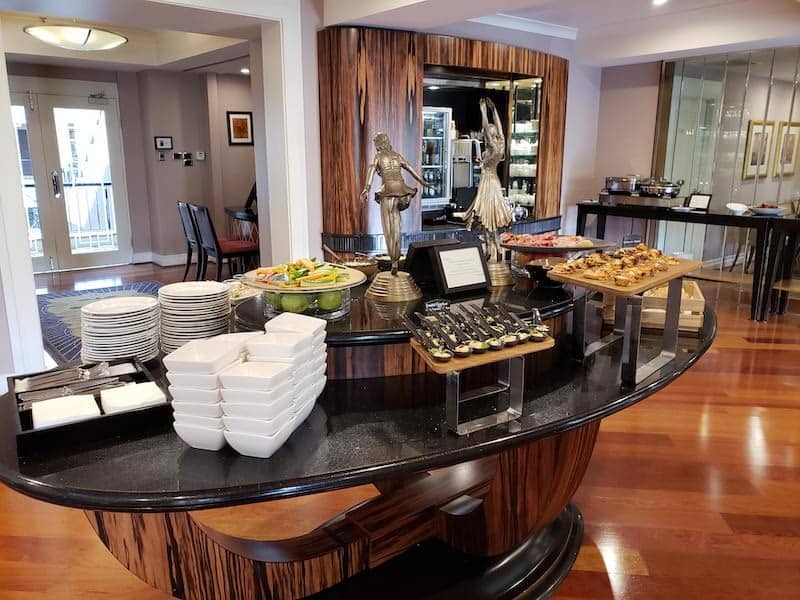 Unlike most Park Hyatts, the Hyatt Hotel Canberra has a club lounge. I used one of my Club Access certificates for access during my stay; I would assume that Globalist elites would have access automatically. Breakfast and evening bites are served. Both were quite nice spreads. I was quite happy with the options. 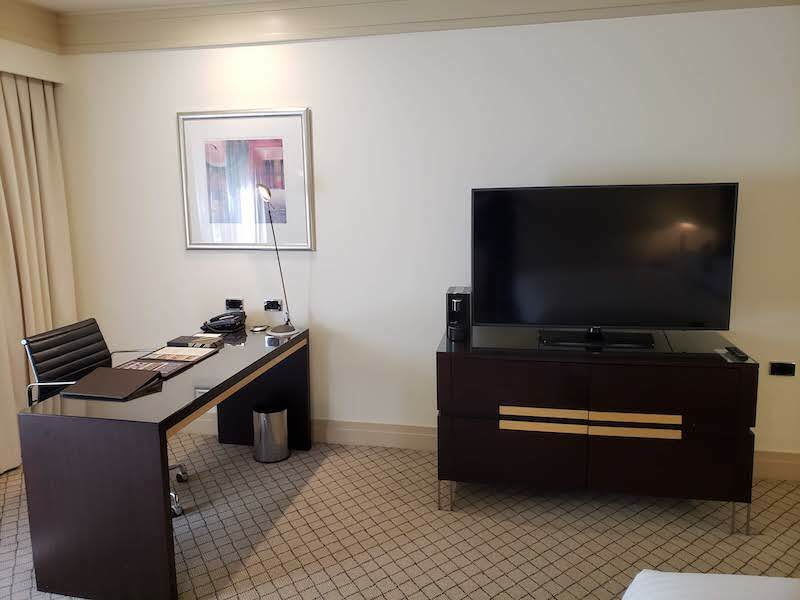 The service at the Hyatt Hotel Canberra was not consistent with the Park Hyatt brand. 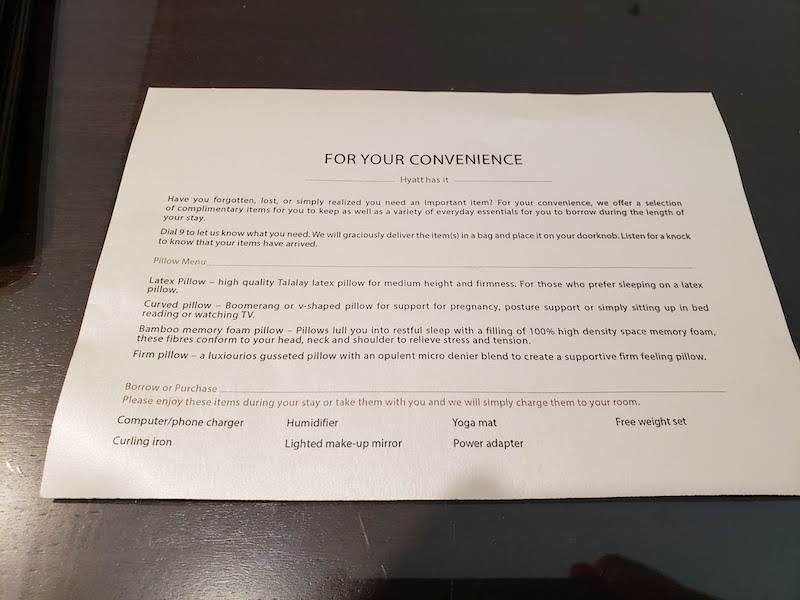 It was more comparable with service you would get at a Hyatt Regency in the US. The staff were there when you needed them, but did not go out of their way to make guests feel welcome or at home. It felt much more rushed. Perhaps this is what most of their guests, being there on business, prefer. While the room was cleaned each day, there is no turn down service. The staff in the Club were ghosts. They were only there to set out food and clear plates. One other strange thing to note. The hotel has a conference center on the ground floor of the new section. 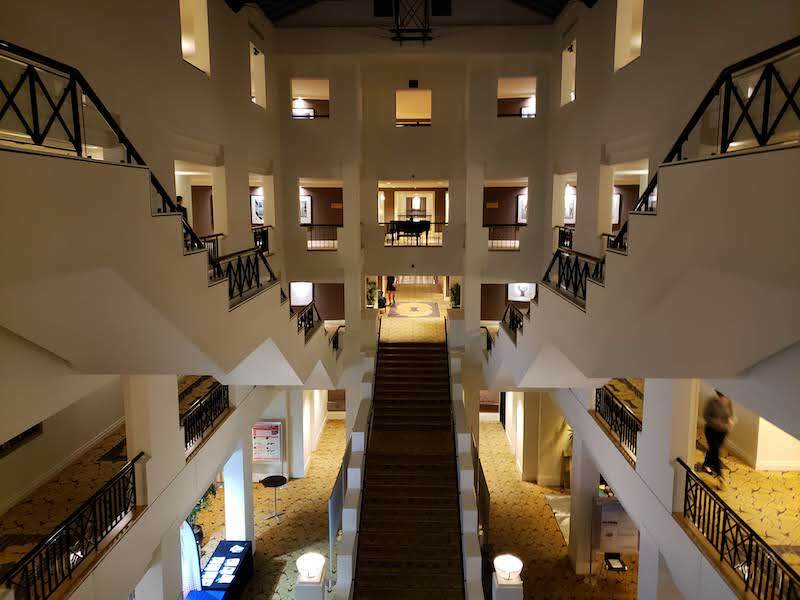 As it is built as an open atrium, the conference was visible to hotel guests and the sound carried to my room. Not exactly a luxury experience when you have to pass through poster presentations on soil quality every time you wanted to go to the pool. 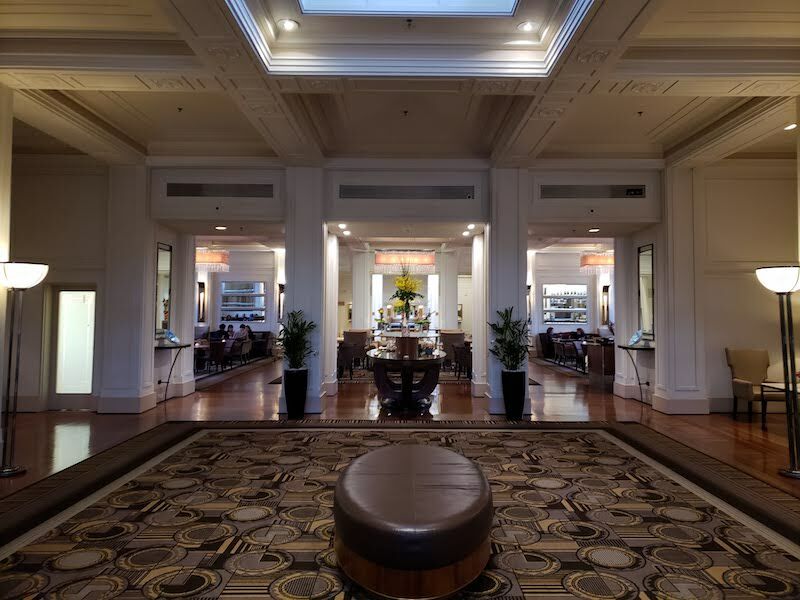 The Hyatt Hotel Canberra is a historical property with some beautiful architecture. The location is wonderful if you want to visit the government sites. The rooms are basic and a bit outdated. The service is subpar. The bottom line is that this property does not fit in to the Park Hyatt brand. It would be better positioned as a Hyatt brand (like the Hyatt Olive 8 or Hyatt Palm Springs. They wouldn’t even need to change their name. Otherwise there needs to be an investment in updating the property and increasing the service standards. The property is a value as a Category 4. They should rebrand to match the standard.